As a new patient of West End Chiropractic & Wellness Centre we understand that you will be feeling overwhelmed, excited and maybe slightly nervous. However, with a wonderful Doctor and a helpful team, we will provide the best possible care for you and your family and help to educate you about chiropractic to reach your optimum level of health. Our goal is to provide you with outstanding chiropractic care in a comfortable surrounding. On your first visit, you will be greeted and welcomed into our friendly chiropractic centre with open arms. After obtaining a case history the doctor will perform a thorough physical examination. The findings Dr Justice gathers at the new patient appointment will be used to create an individual care plan for each patient. This is estimated to take around 30 – 40 minutes. In addition to friendly staff and existing patients, we have a state-of-the-art X-Ray machine and Electro Magnetic and Thermal Scans on site to provide precise diagnoses. We look forward to introducing you to our practice! 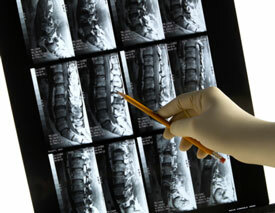 Are you a good candidate for today’s chiropractic care? Find out by calling West End Chiropractic & Wellness Centre!